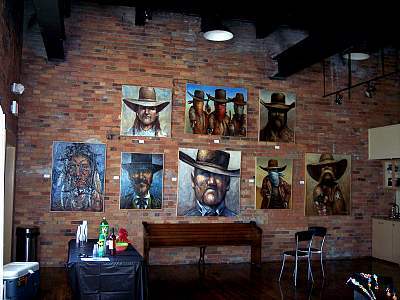 Space 237 was packed to the rafters, and exhibited the brilliant works of artist Dave Wisniewski whose big, bold paintings of cowboys and old west “saloon types” feature squinting eyes that follow you around the room. 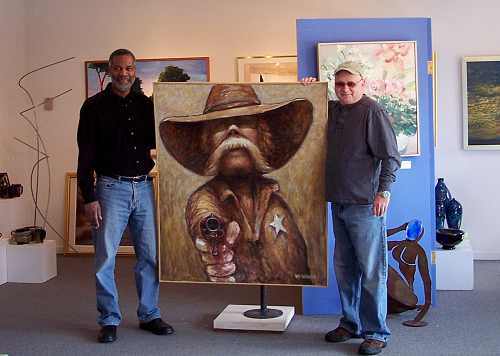 Men in particular love his art and imagine it hanging in their “man caves” or offices and several women were commenting about what a perfect gift the art makes for a home theater. 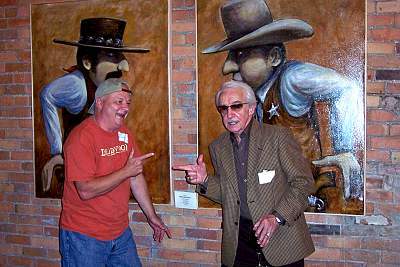 The artist’s work is featured across the country and you can also catch him as the featured artist at The Serafino Gallery in Cleveland, Ohio’s "Little Italy” if you happen to be going there any time soon. 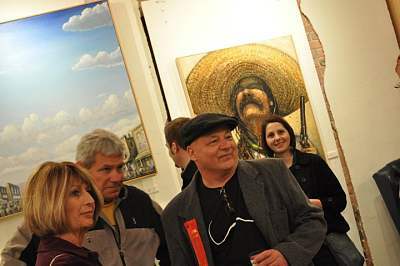 Along with Wisniewski’s art, Space 237 also featured the sculpture of Travis Sanderson, works by Melanie Harris and amazing creations by many other artists. Space 237’s spring exhibition, “Yesterday & Today” is an excellent and complicated show, from the first floor to the fourth. 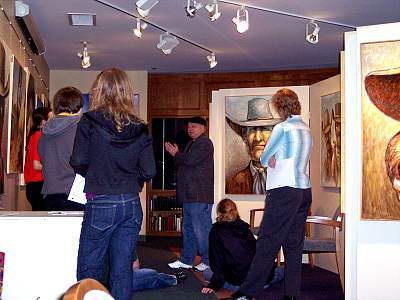 This review focuses on the work that opens the show. The first floor features art filtered through corporal sensations and organic sensibilities. 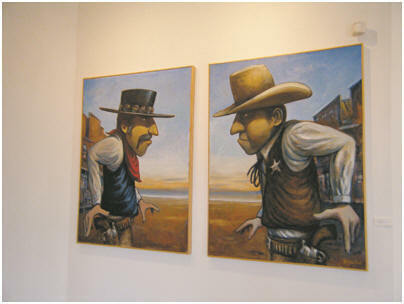 Dave Wisniewski’s two-panel “The Showdown” greets visitors as they enter the exhibition space. 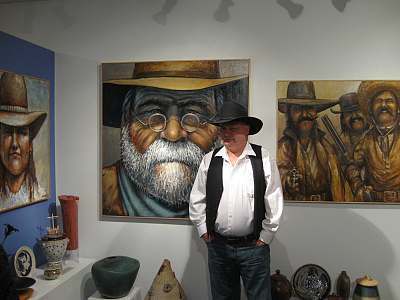 His large portraits of cowboys are just part of his unique sensibility. 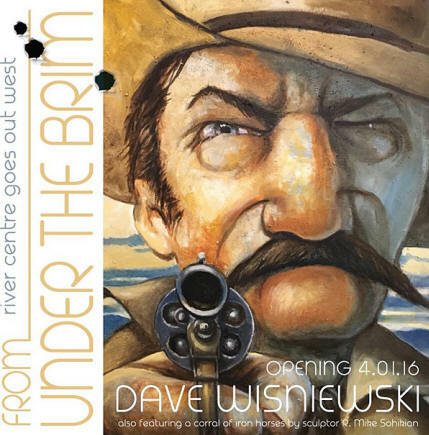 Beyond its Wild West motifs, Wisniewski’s paintings navigate challenging terrain. The painter (who is legally blind) creates oversized and charmingly cartoonish images partly in response to his compromised vision. The ambiguity of a diminished sense also show up in his portraits’ clouded and shadowy eyes. 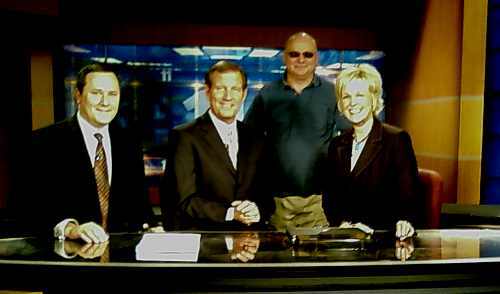 At what are they looking? Beyond the dozen or so excellent portraits on display—many textured with additives, like birdseed, sawdust and sand—Wisniewski presents a landscape of a big sky Main Street that rewards a close viewing. 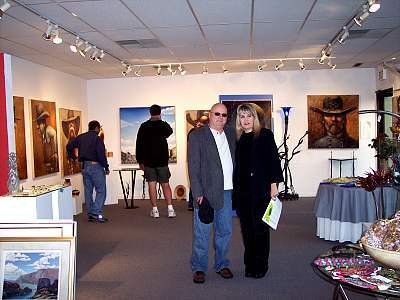 Angela Di Bello, Agora Gallery Director, and Me. 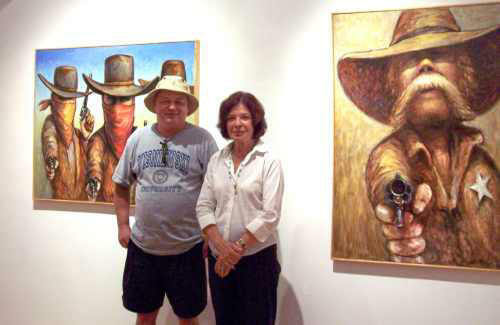 Me and my wife, Sally. Me and Johnny Ginger goofing off.